Ewwww yuck. I hadn't caught this news article about the "pink slime" added to ground beef as a cheap filler, but this turned my stomach. A reader had referenced it on my post about Where's the Beef, but I hadn't caught the source. So I say again, ewwww yuck! And it makes me wonder... why is this necessary? Is it solely to save a buck? It's perfectly safe (contra Epsilon, nothing in that article was evidence of a lack of safety). That they lead with that hack Jamie Oliver over at TheDaily shows that they're bad at critical thinking - and that they're aiming for a scare piece. The switch from "the FSIS guy says it's not the same, and another guy says it's not Ground Beef" (also true) to "Despite [that], the USDA ruled that [it was] safe" is incredibly cheap sleight of hand. "Despite" a non-safety concern they ruled it safe? I cannot possibly imagine why. I recall reading other articles raving about the safety of that product precisely because it's industrially processed; there's a lot less exposure to bacteria than when grinding up meat in a traditional processing plant. It'll get you fewer sick kids because someone cross-contaminated with e. coli. (I realize that Mr. Zirnstein has an aesthetic objection to it, but as presented there is not the slightest evidence of any harm, real or potential. And all the wailing about "ammonia" is similarly ludicrous - pure scare tactics. The amounts involved are so slight as to make it a talking point aimed at aesthetic revulsion - not science. And Zirnstein's last complaint, that "it's more like Jell-O than hamburger" and "taken a processed product ... and added it to ground beef" are equally non-safety and purely foodie-aesthetic complaints. (One wonders if he realizes that ground beef itself is "processed", or that "processed" is, in food-hippie use - which is the use he's adopting - a pure term of abuse, without scientific meaning or consistent application. "Science is the truth, and pink slime at this point in time is a fraudulent lie"? When you have to use namecalling ["pink slime"] in your invocation of Science as Proving You Right, you're not doing science anymore. 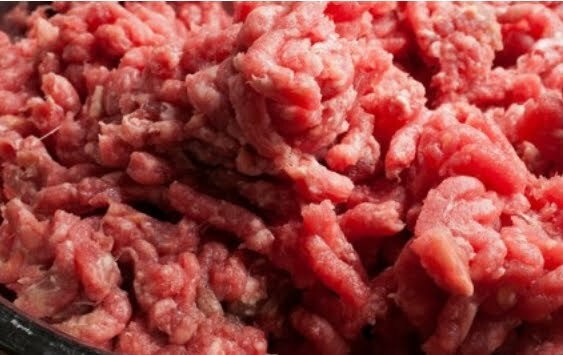 When I buy ground beef or turkey or chicken, I expect to get ground muscle, not highly processed by-products used as fillers. I for one, do not want my food irradiated, nor do I want it processed with chemicals. I will continue to raise my own meat animals and grow my own garden so that my family will get as little commercially grown and processed food as possible. If a filler is added, list it on the package. People can decide if they want it and vote with their pocketbooks. I would pay more for real ground beef. Actually I do. We eat grass-fed, raised without antibiotics and hormones. Fine with me if the critter gets a tetanus shot (meaning it doesn't have to be "organic"), but I don't want constant exposure to the other drugs. Is that the stuff they make cheap hot dogs and bologna with? to anonymous about the hotdogs, i don't know if they use that filler in hotdogs but hotdogs are ground beef, pork, and chicken. as for the pink slime filler hotdogs are not made entirely of that. to patrice and other readers, pink slime is made from inedible (not safe to eat) scraps that have been chemically treated to break the scraps down to separate the beef and fat. the beef (whatever is left from the process) is then sold to meat packers to be used as ground beef or in ground beef as a filler. for more info just google pink slime. I'll stick to peanut butter sandwiches, than you. Think I will tell my son to send my grandson to school with a cold lunch. ewww. That does it, we're buying a cow! at this point i will be quizzing the butcher for him to tell me exactly what is in the meat i purchase from him...i will buy pure beef, chicken and pork with my money...and if i could i would be buying pure raw dairy as well...what was good for my grandparents is just fine for me. margarine was proven several years ago to be only one molecule from being plastic..and i believe it was the government who tried to get us off butter...i do not trust the government at this point with my safety or my good health. if i drop dead tomorrow because i eat eggs, beef, chicken, whole wheat, lard, butter or any real food so be it. As a society, we don't eat the whole animal anymore, just buying the choicest of the cuts in the supermarket. Some have suggested that the prevalence of arthritis nowadays is from eating a lack of connective tissue. I eat hotdogs so I really don't see the "pink slime" as such a bad thing. I'm tired of the comment of slight amount. If it isn't safe, it shouldn't be in there at all. Put it on the label.